The Polynesian pipeline continues to bring in talent for Washington State. Monday night, Charles Moku-Watson announced his commitment to WSU in a hat selection ceremony on Hawaii's KHON2 News network. The Polynesian pipeline continues to bring in talent for Washington State. Monday night, Charles Moku Watson announced his commitment to WSU in a hat selection ceremony on Hawaii’s KHON2 News network. Moku Watson, a 6-foot-2, 185-pound safety from Leilehua High (Wahiawa, Hawaii) committed to WSU over offers from BYU, Colorado, San Diego State, Oregon State, Vanderbilt, Hawaii and Fresno State. Moku Watson is rated the No. 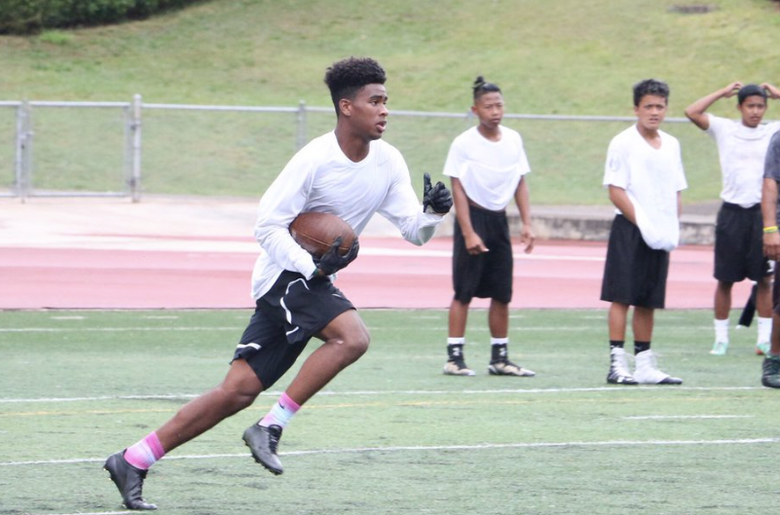 3 overall prospect and the top defensive back in the state of Hawaii by 247Sports.com. WSU was the second school after Hawaii to extend him a scholarship offer. The safety was recruited by defensive line coach Joe Salave’a, who has extensive connections in Hawaii and American Samoa. Moku Watson said WSU defensive coordinator Alex Grinch also had a hand in his recruitment. Moku Watson is the 11th recruit to commit to WSU as part of the 2017 recruiting class. He joins George Hicks (San Bernardino, Calif.) and Tayari Venable (Rancho Cucamonga, Calif.) as future talents of the Cougars’ defensive secondary.